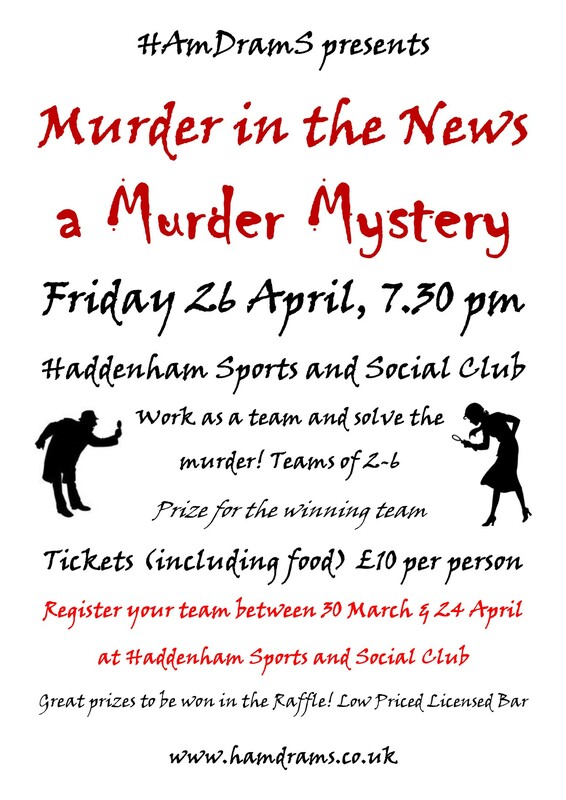 HAmDramS' next production is a Murder Mystery, for one night only, on Friday 26th April, at Haddenham Sports & Social Club. Murder in the News focuses on the staff at a local newspaper. An investigative journalist uncovers damaging information about a local business. A set of compromising photographs create an opportunity for a blackmailer. There are skeletons in everyone’s cupboards, and a nosy intern might just let them out… As the story unfolds, more and more secrets are revealed, which, ultimately, will cost one person their life. As the story unfolds, more and more secrets are revealed, which, ultimately, will cost one of the team their life. The cast comprises Mike Walters, Ruth Bramley, Maxine Jones, Rick Rolph, Wendy Rolph, Suzy Barker and Eppie LeRoux. Can you uncover the murderer? There will be a prize for the winning team. Tickets, costing £10, are available from Haddenham Sports and Social Club. Teams of 2-6. Team registration opens on March 30th. Please register your team before 11pm on Wednesday 24th April. Haddenham Sports and Social Club has a low-cost licensed bar. There will also be a raffle. Ticket price includes food. © Copyright 2010-2019. 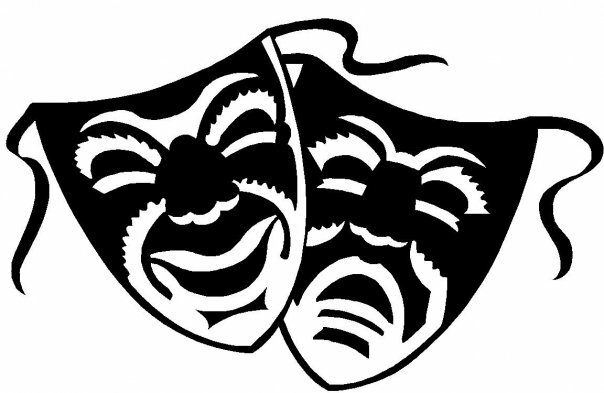 Haddenham Amateur Dramatic Society. All Rights Reserved.